When was the last time you played a prank? Was the result a little darker than you meant it to be? At least, that's what you said, right? When people learn that you're one of the bad girls they think that you don't have a sense of humor. They are dead wrong. Maybe people will get the idea if you go full Harley Quinn on them. No more subtlety. It's just not working. 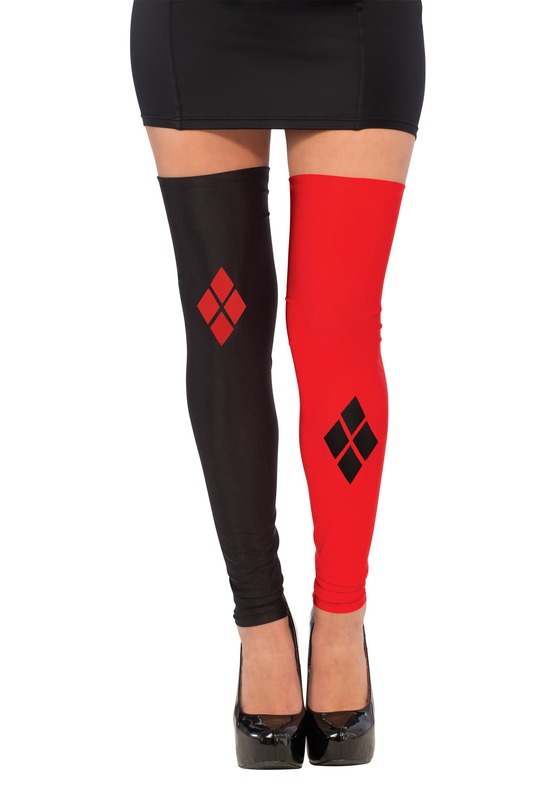 Slide these black and red thigh highs on when you're ready for a day of plotting and pranking. Whether you're hitting up Gotham City solo or the Joker is tagging along, mischief is going to abound. If the citizens don't get the warning your leggings are sending off then they must be visiting from out of town. If so, maybe it's up to you to introduce them to the way this city works. After all, this town isn't just about Batman. If it wasn't for you infamous villains, why, he'd be out of a job!